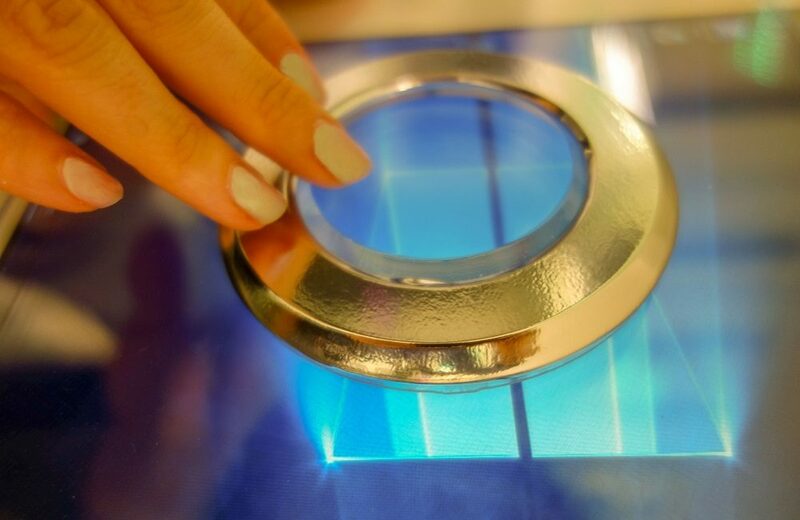 Tactile buttons or mechanical dials can be part of a capacitive touchscreen with new Zytronic Hybrid Touch. 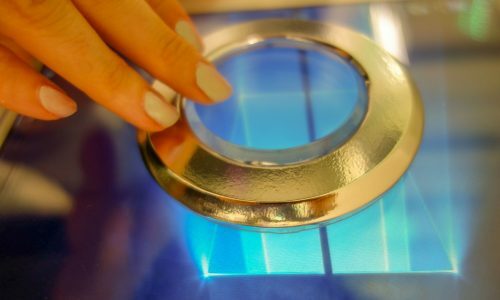 Touch, Projected Capacitive Technology (PCT and MPCT) touch sensors and contact-less touch innovator Zytronic is poised to show off its Zytronic Hybrid Touch during Integrated Systems Europe (ISE 2019). Zytronic has officially launched its Hybrid Touch technology, fully integrating touch and physical controls into the sensor’s active area. According to the company, Zytronic’s hybrid touch allows tactile buttons or mechanical dials to be incorporated in and around the active area of the projected capacitive touchscreen and which are connected invisibly through the viewable area of the screen. The company contends that it’s the first time that the two most used control technologies in the world have been closely integrated in this way. “Touch sensors offer enormous flexibility and reliability – but physical controls offer much greater tactile feedback which can be valuable in many situations,” says Ian Crosby, sales and marketing director, Zytronic. “We’ve brought these two different forms of control completely together blending tactile response with touch interactivity. For example, industrial instruments are often operated with the user looking away from the screen. Zytronic designs and manufactures Hybrid Touch sensors with precisely machined apertures in the touch sensor located and shaped according to the system designers’ specifications, allowing their chosen dials or switches to be placed exactly where required. Zytronic then deposits power and data lines to the mechanical controls embedded within the touch interface using the same proprietary approach as it uses to deposit the touch electrodes, ensuring that they are invisible to the user of the system. These microfine traces are taken to a flex tail at the edge of the screen, where a connection can be implemented to the electromechanical controller. The system’s response to the mechanical control can be context sensitive – giving a very high degree of flexibility in user interface design. Sensor electrodes in the screen are deposited around the physical holes required for the dial or the switches. Touches around the holes are processed by the touch controller in the usual way, but custom firmware in the controller is programmed to ignore the area of the holes themselves. Hybrid Touch is available only on the new Zytronic ZXY500 family of touch controllers. For more information, visit here.